I want you to join me live, so I can share with you our simple and logical way to generate opportunities consistently. You’ll be able to use our proprietary approach to generate opportunities for your business right away, and you’ll also be able to apply it should you want to launch a new business venture in the future. Click Call and Connect™ LIVE will enable you to better leverage business opportunities faster, better and easier. Also, live there’s a magic and momentum that happens when people mastermind and implement, and the benefit of doing this work with us live is that we can really help you there in the moment to both master the material and also to apply it to your specific situation. VIP introductions to events in the UK and around the World. It’s decision making time … One of the key behaviours that Founders, Managing Directors and CEOS know correlates with success in life and business is making choices and taking actions. So, I would like you to choose now and make a clear “Yes” or “No Thanks” choice now. Remember that a decision is definitive. It’s a “Yes” or a “No Thanks” … there is no “Maybe.”. Whatever your answer is right now, is perfect. There is no pressure, but if you’re ready, then I’d love you to say YES and come join us. I’m going to personally subsidise your investment to attend as I really want to help the next generation of forward thinking entrepreneurs & thought leaders so that they can help more people, build momentum and pay it forward. I really want the right people to come who are going to take action and become great case studies, so if you’ll do that, I’m also willing to subsidise this interactive workshop record it and share your successes. * All spaces are subject to our standard terms and conditions. We’ve made this event very affordable and available to any of my clients, students, colleagues or friends who live in the U.K. , Europe or from around the world. I will also be sharing some exciting opportunities and developments only with those people live at this event. 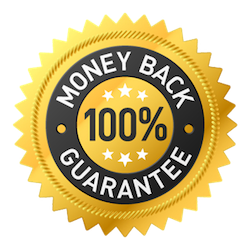 If you attend the workshop, play full out, take action and stay in communication we are offering a no quibble refund up to end of the workshop. So that means you can attend the workshop worry free, learn the whole system, implement it and get results and take action with no risk. SM, TM & ©2019-2119 Click Call and Connect™. All Rights Reserved.